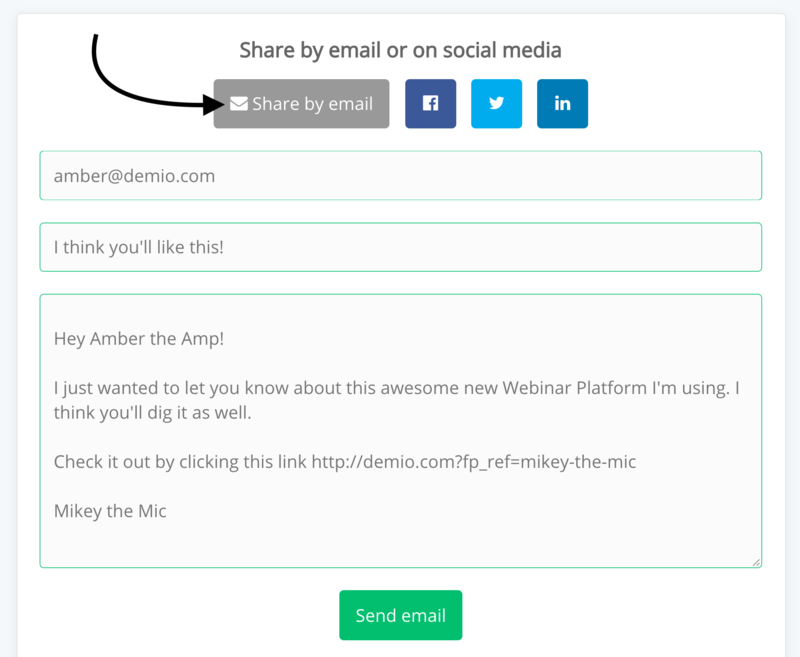 Once you've been approved as a Demio Affiliate, you'll be able to start sharing your Referral Link right away! You'll need to access your Affiliate Dashboard. You may need to log in, if this is your first time. Once you've logged in, you'll find your Referral Link right there, ready to be shared! You can copy the link directly by clicking Copy! Or you can share it using the options available—either via email or directly on Social! By default, the Demio Affiliate Program will assign you a default Referral Link! If you'd like, you can choose to customize this link to make it more personable. You'll want to navigate back to the Affiliate Dashboard and click the Customize Link option available! Once you've done that, you'll be able to customize your Referral ID, which will automatically be appended to any of your Referral Links. *Keep in mind that you do require a minimum of 5 characters. If a particular ID isn't available, it means that it is being used by another affiliate.